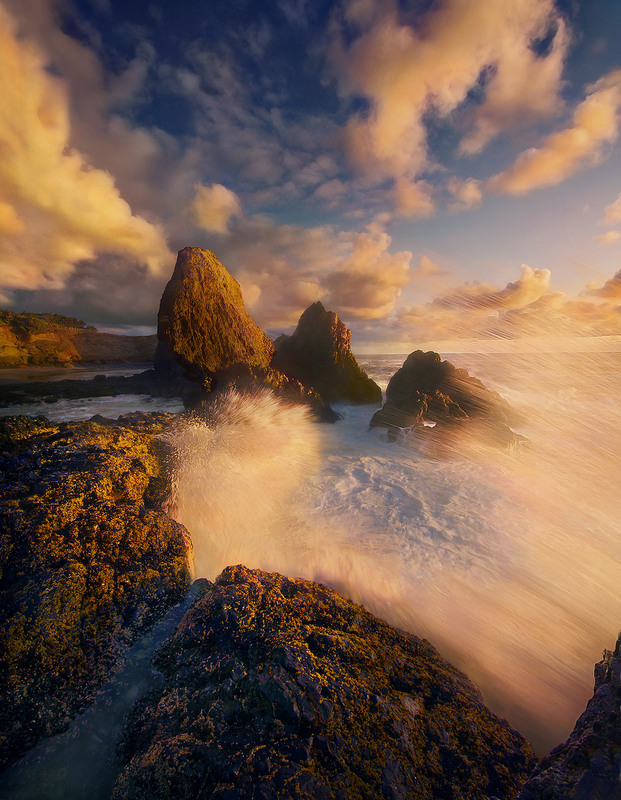 Some big wave action catching the light of sunset on the Oregon Coast. Getting the wave action like this requires lots of attempts, excellent timing and the desire to get very wet. Photo © copyright by Marc Adamus.